I have never done a guest post before, so together Pan and I will probably commit every faux pas there is. But won’t we have fun in the process! Pan is one of my pattern testers and it has been so much fun getting to know her better. She has two grandchildren, Caelan and Kai, and comes from Apex, North Carolina. 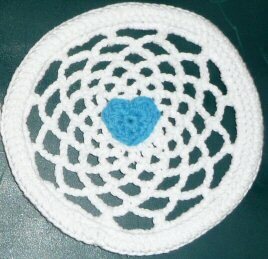 I am honoured and touched that she let me share her pattern here on lookatwhatimade. 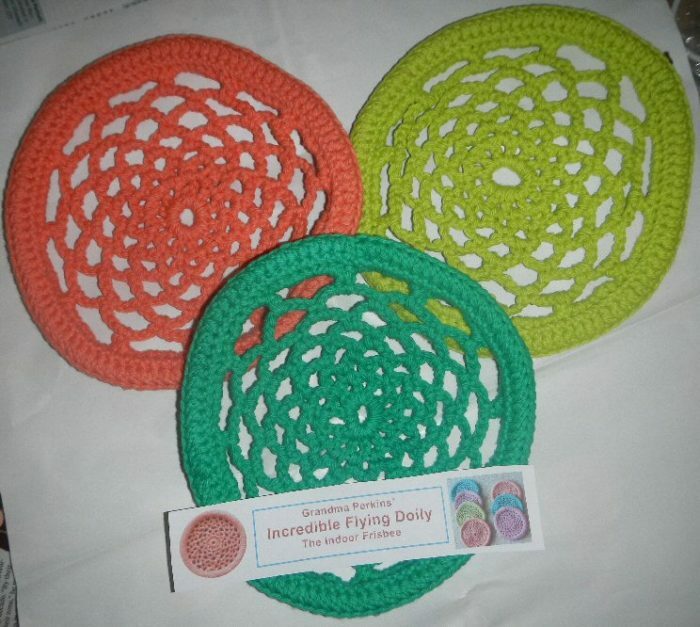 I had never heard of a crochet Frisbee or a flying doily before Pan sent me her pattern, but it is genius. 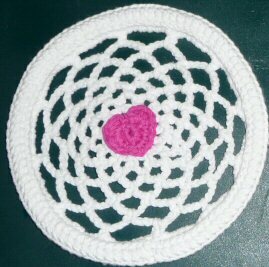 Obviously I did Google the subject and I found quite a few crochet Frisbee patterns. 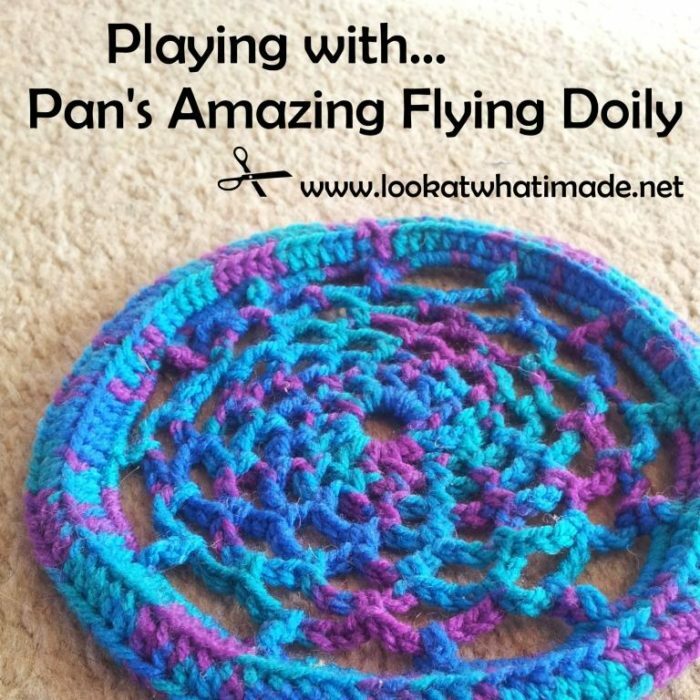 But Pan’s pattern is unique in that it is even lighter than a solid crochet Frisbee with the same (if not better) hang time. You can throw this thing right at a glass of water and it won’t even rattle the glass. Now why would you want to do that? Because! The whole point is that it is a truly safe indoor toy for little monsters (provided, of course, that they don’t trip over their baby brothers in the process). 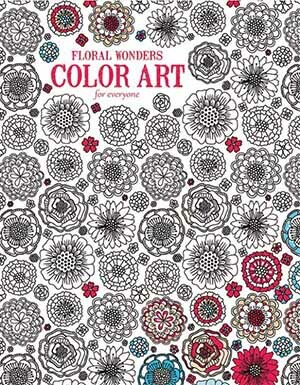 I love the pattern, I love the concept, I love the SPEED with which you can whip one up. Hello to all crocheters out there. All the world is made of faith, and trust, and pixie dust…. And a wee bit of yarn. I have had the good fortune of learning a bit about Dedri. She has a remarkable imagination. And she designs such cute and creative puzzles. I do not pretend to have such abilities, but I do love to crochet and I do love toys. Being a grandmother, I have entered my second childhood. And I will never grow up. 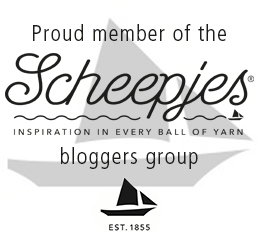 I am thrilled that Dedri invited me to be a guest on her Blog. I have an easy pattern that I made a few years back. It is an Indoor Flying Doily, or if you prefer, a Frisbee. It uses US terminology, and is free to all. Well, I’ve got to fly. If you would like to make your own Flying Doily, you can find the free pattern HERE (PDF version available). for some reason i’ve stopped receiving your emails, is there anything i can do so they will start coming again? Hi Shoshana. Did you only miss the last one, or has this been going on for a while? Pam would love to see photos. You can add some as a Ravelry project (if you’re a Ravelry member) or you can post some on my facebook page. I’m finding that making the last round in a different colour makes it easier to sew up! That’s a brilliant idea. Wish I’d thought of it. It would totally make it easier to see what you’re doing!